This week, NVIDIA has announced that they are ending mainstream graphics driver support for Fermi-based GeForce GPUs. Effective as of this month (i.e. immediately), all Fermi products are being moved to legacy support status, meaning they will no longer receive Game Ready driver enhancements, performance optimizations, and bugfixes. Instead, they will only receive critical bugfixes through the end of the legacy support phase in January 2019. While the announcement mentions ‘Fermi series GeForce GPUs,’ the actual support plan specifies that mainstream driver support is limited to Kepler, Maxwell, and Pascal GPUs. So presumably all Fermi products are affected. In the same vein, also effective this month is NVIDIA dropping mainstream driver support for 32-bit operating systems, as announced in December 2017. Like Fermi, 32-bit operating systems will still receive critical security updates through January 2019. This update also encompasses GeForce Experience, which will no longer receive software updates for Windows 32-bit operating systems. Given the current drivers, March’s version 391.35 on the Release 390 branch, this likely means that the next branch is due to release later this month, and that it will simultaneously drop support for Fermi and 32-bit operating systems. In context, NVIDIA’s previous architecture retirement came in March 2014, when their D3D10 Tesla architecture GPUs were moved to legacy status after around 8 years of support. And with this week’s announcement, Fermi has received mainstream support for around the same amount of time, marking the beginning of the end for NVIDIA's first D3D11-class GPU architecture. However it's interesting to note that Fermi's legacy support window will end up being a lot shorter than Tesla's, stretching for just ten months versus two years for Tesla's. This may be a distinction that proves important, as complex and highly privileged video drivers have been an ongoing source of security vulnerabilities - including as recently as this year in NVIDIA's case. So while the vast majority of Fermi cards have been retired, for any that remain (particularly those in Internet-connected machines) the end of security updates is not a trivial matter. In comparison, AMD’s GPUs contemporaneous to Fermi were moved to legacy status in 2015, with all pre-Graphics Core Next architectures affected. On AMD’s side, retiring pre-GCN products meant that all their supported GPUs were DX12 capable. 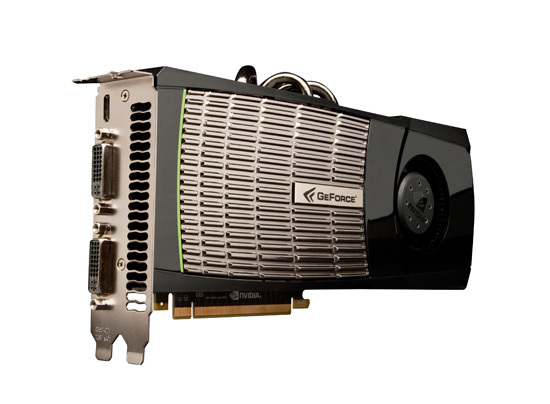 NVIDIA support has also posted a list of Fermi series GeForce GPUs affected by this change. If you're upgrading a system, anything below a 1040 isn't worth buying at the moment (and even that is only really a worthwhile upgrade for older systems) because anything less can't really handle current gen games and even then the value isn't really there. I assume you mean a 1050 since there's no such thing as a 1040. One of them or a used card from the previous generation is going to be a lot more bang for the buck if it'll fit into your system and not need a PSU upgrade. but OEM systems often won't have the PSU headroom for even a 20 or 30W upgrade, and small form factor systems often can only fit single slot or half height cards (there were a few half height 1050's released but the stupidly high prices listed on amazon suggest they've been sold out long enough to attract attention from scalpers).